For the new traveler, there may be nothing quite as exciting as visiting a new country for the first time. Learning how a culture approaches life first-hand is one of the most fulfilling exercises a new adventurer can indulge in. However, simply having the urge and means to travel is no longer enough to see the world. As international relations grow more and more complex every day, meeting the entry requirements of any country can be difficult. Before making plans to visit the old worlds of Europe or seeing grand Havana for the first time, be sure to understand the entry requirements of your destination country. Aside from having a valid passport and entry visa, some nations require travelers to provide proof of travel insurance as they enter. While that list of countries is currently small, many travel experts are anticipating that number growing. As of today, here are three countries that may require proof of travel insurance before you are granted entry. One of the countries governed by the Schengen Agreement, Poland allows for travelers to stay up to 90 days. 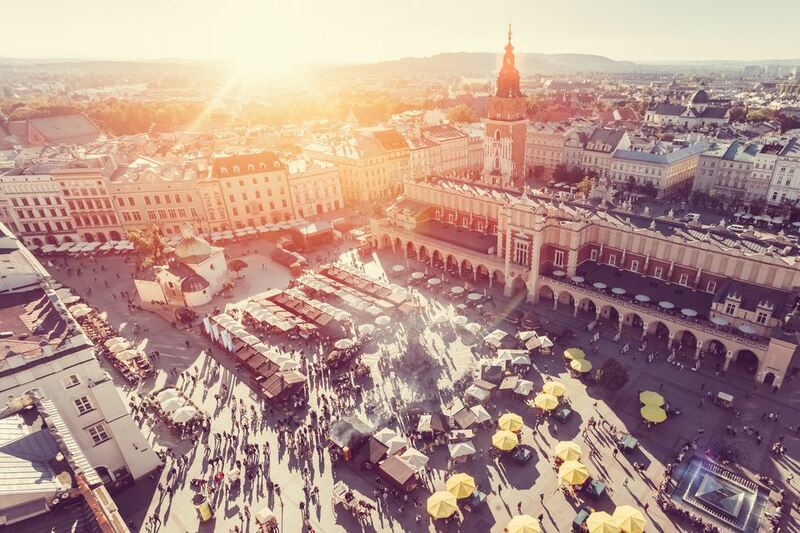 Among the requirements for travelers to enter Poland is a valid passport, with at least three months of validity past the entry date, and proof of a round trip ticket home. In addition, travelers may be required to provide proof of sufficient funds for their stay, and proof of travel insurance. Both the United States Department of State and the Canadian Department of Foreign Affairs and International Trade advise that upon entry to Poland, travelers may be required to provide proof of travel medical insurance. Those who cannot provide proof of travel insurance may be required to either purchase a policy on site, or face entry denial into to the country. The Czech Republic is one of the many countries in Europe that is both a member of NATO and the European Union, and abides by the rules set forth in the Schengen Agreement. While travelers don't need a visa to enter the country for stays of 90 days or less, a valid visa is required ahead of your visit for those looking to work or study. In addition to requiring a visa for longer stays, the Czech Republic requires proof of travel insurance upon arrival. Border agents at all major points of entry require that proof of a medical insurance policy that covers costs for hospitalization and medical treatment, in the event a traveler should become injured or fall ill during their stay. In many cases, a health insurance card or internationally recognized credit card with travel insurance benefits included is considered sufficient evidence. Before traveling, be sure to purchase a travel insurance policy that offers medical coverage while visiting a foreign country. The embassy may not be able to intervene or assist if you are turned away at the border for not carrying a travel insurance policy. The long-embargoed island nation of Cuba is slowly becoming a welcome haven to visitors who want to step back in time. As a result, many travelers who would never thought about visiting America's island neighbor are now finding themselves welcome to engage in local culture. However, travelers still must go through a number of steps to visit Cuba, including receiving a visa prior to arrival and purchasing a travel insurance policy. Upon arrival in Cuba, travelers are required to provide proof of travel insurance. In this situation, having a medical insurance card or credit card may not be proof enough, as Cuba do not recognize western organized health plans. when planning at trip to Cuba, it is critical to purchase a travel insurance plan prior to entry, through a company that will be accepted by the island nation and is licensed to do so. Those who do not make this preparatory step may be forced to purchase a travel insurance policy upon arrival at a high premium cost. Knowing entry requirements, and how travel insurance affects them, can make travels much easier for the new adventurer. A little planning today can save travelers time and money as they venture around the world.